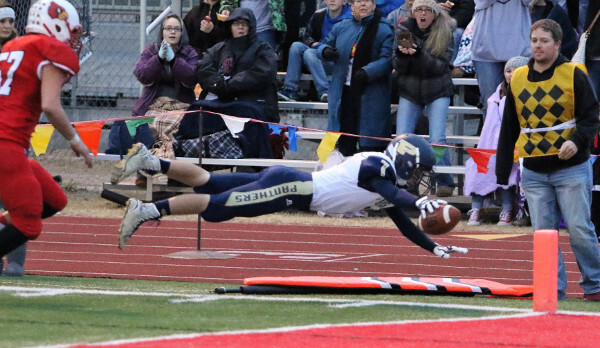 Kpreps.com would like to congratulate Jacque Bretton for submitting the winning photograph for Week 10 of the Kpreps Friday Night Photo Contest. Jacque’s photo captures Phillipsburg freshman Ty Sides diving for the pylon as part of a 34-yard punt return during the Panther’s 35-6 playoff win at Hoisington. For this winning photograph, Jacque is eligible for our 2017 Grand Prize including $500 in cash.